Anita Pahor is currently Senior National Philanthropy Executive at Australian Red Cross. 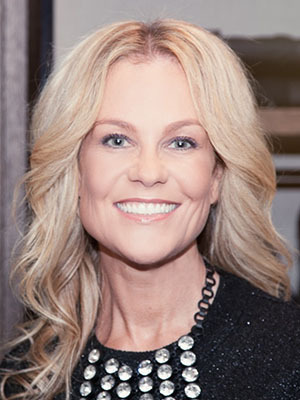 In this role, she leads a unique female philanthropy group called Society of Women Leaders which is one of Australia’s most successful and active Giving Circles. Membership of the philanthropy club starts with a donation of $10,000 per year. As well as working at Red Cross, Anita has also been a Member of the giving circle since February 2016. Prior to this, Anita had six years of service to Red Cross in a number of roles including Senior Management roles in Communications and Media, acting Head of Strategic Services and International, was deployed numerous times to support disasters across Australia such as cyclone Yasi in Queensland and represented Australian Red Cross at the Global Red Cross Emergency Activation conference in Geneva where she co-designed a new and innovative crisis communication activation model and subsequently deployed staff to Iraq. Before joining Red Cross, Anita held a number of executive roles across the renewable energy and not for profit sectors in Australia, UK and USA. She has a Bachelor of Economics from Monash University and a professional background in Human Resources, Industrial Relations, Community Engagement, Philanthropy and Communication. She has also led the development of a high net worth female philanthropy program in the microfinance sector spending significant periods of time in India and the Philippines.